Guess what!?! 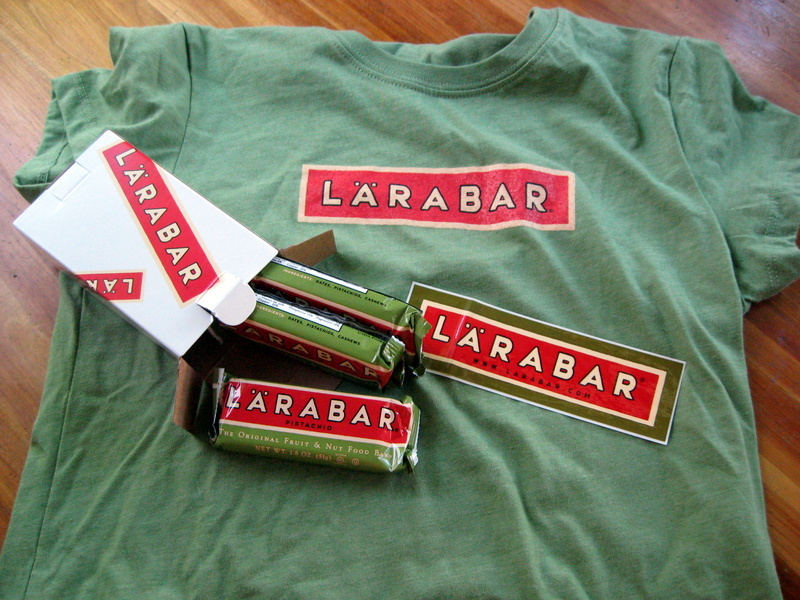 I won a pistachio prize pack from Lara Bar! 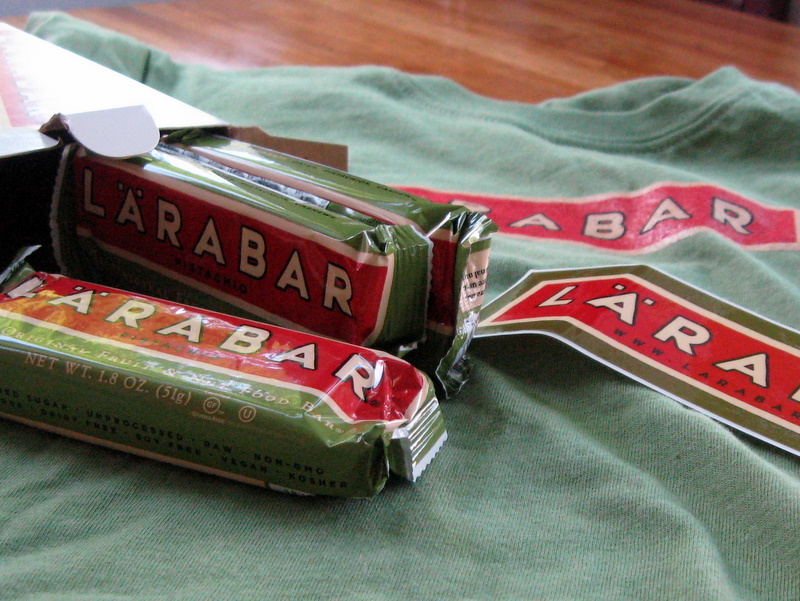 A t-shirt, a sticker, and a box of Lara bars – all in pistachio. Apparently there were actually 4 Lara bars. You’ll note in the picture that there are only 3. Hm…. I wonder what Lara bar monster ate the other one…?